MADRID, April 23, 2014 - Mexican journalist and author Elena Poniatowska (C) attends the awarding ceremony of the Cervantes Prize in Alcala de Henares, Spain, April 23, 2014. 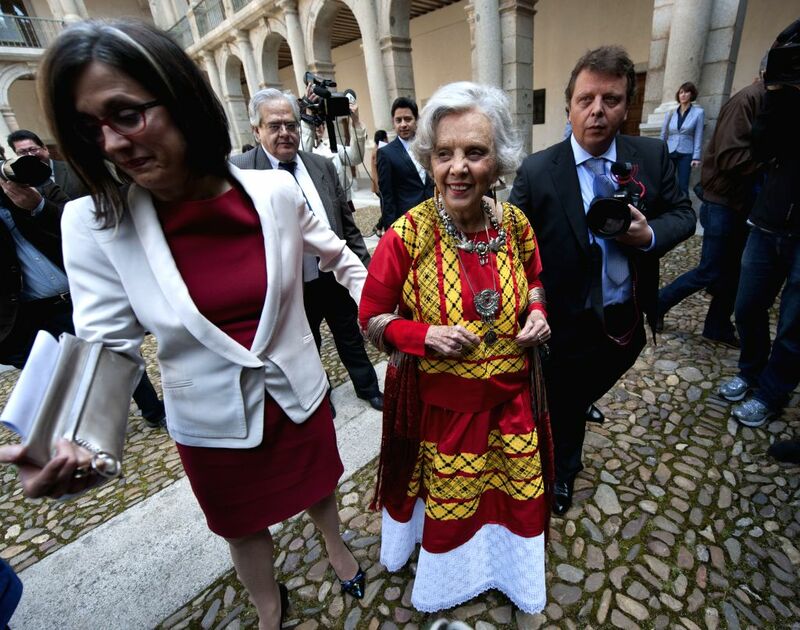 The King of Spain Juan Carlos I awarded Mexican journalist and author Elena Poniatowska the 2013 Cervantes Prize, the Spanish-speaking world's highest literary honor, on Wednesday. 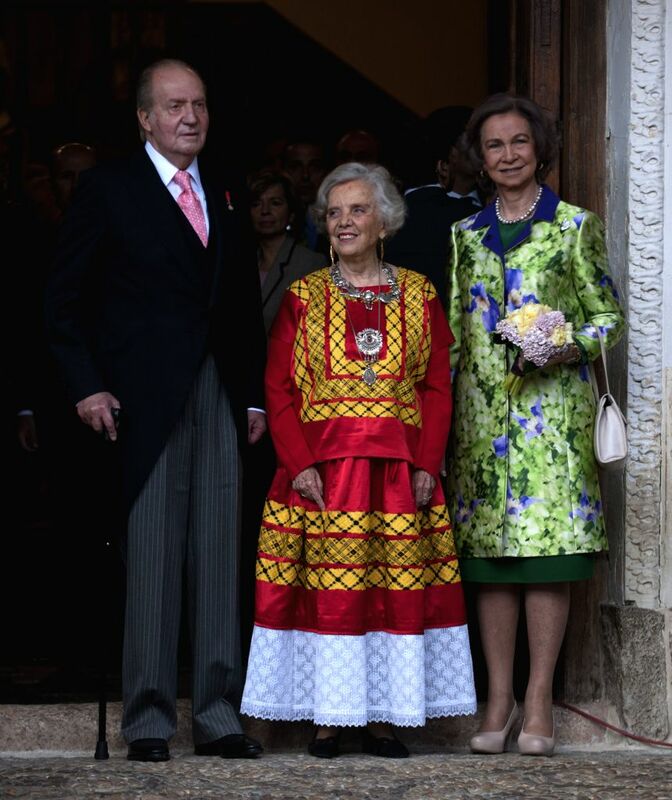 Mexican journalist and author Elena Poniatowska (C) stands with King of Spain Juan Carlos (L) and the Queen Sofia during the awarding ceremony of the Cervantes Prize in Alcala de Henares, Spain, April 23, 2014.